How the Cyclic Multiverse Bounces expands and retracts. Giant galaxies die from the inside out: Star formation shuts down in the centers of elliptical galaxies first. 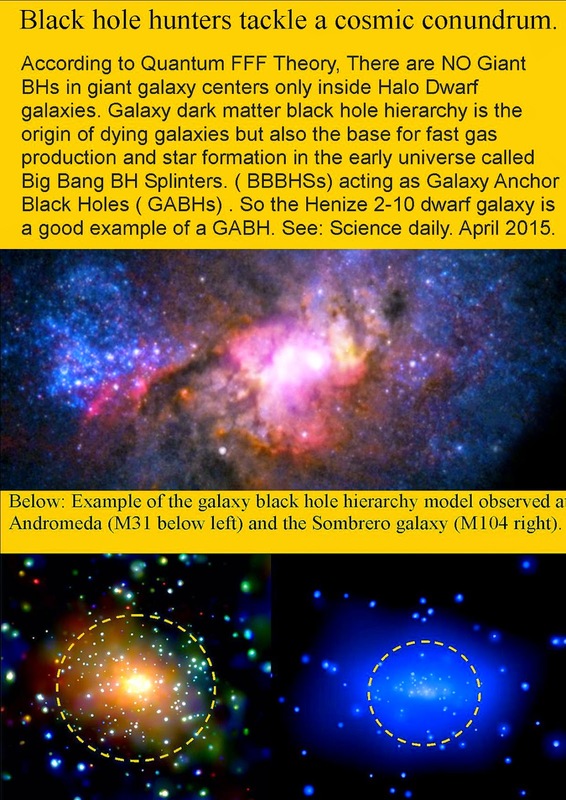 Galaxy- and Cluster black hole hierarchy is the origin of dying galaxies where star formation in the center stops. 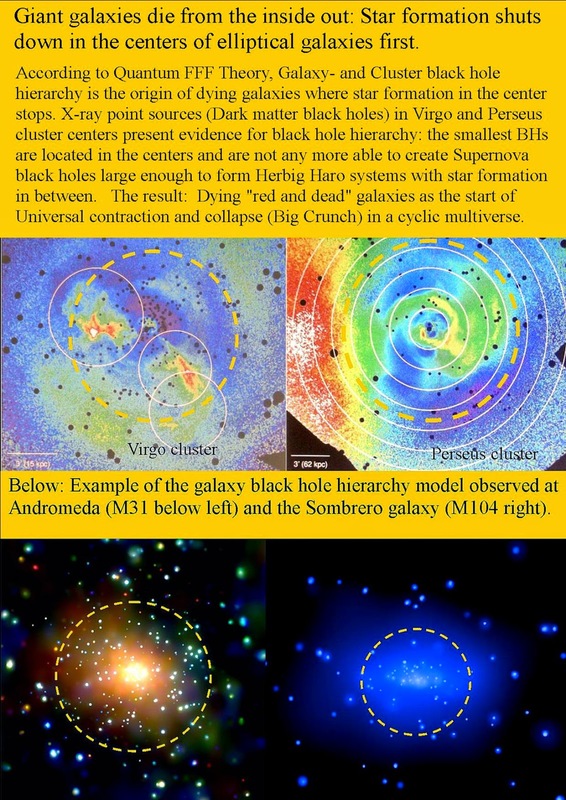 X-ray point sources (Dark matter black holes) in Virgo and Perseus cluster centers present evidence for black hole hierarchy: the smallest BHs are located in the centers and are not any more able to create Supernova black holes large enough to form Herbig Haro systems with star formation in between. Dying "red and dead" galaxies as the start of Universal contraction and collapse (Big Crunch) in a cyclic multiverse.. According to Quantum FFF Theory (Function Follows Form), not the giants- but the smallest black holes reside in the center of galaxies. However, In the center of these dead galaxies the small black holes should merge into one bigger growing BH. According to Q-FFF theory Black holes don't merge because there is always a Birkeland Alfven current circuit in between two BHs and plasma pushing the BHs away from each other simply by two plasma jets! So it is assumed that only in case of dead galaxies with lots of smaller black holes in the center, merging becomes possible, due to the absence of linear magnetic and electric polarization based jets between two Black holes . THERE SEEM TO BE NO MORE EFFICIENT HERBIG HARO JETS POSSIBLE in red and dead galaxies, which are able to push two BHs away from each other by plasma jets. Also: Birkeland -Aflven current systems are gone. Below some example posters for the cyclic multiverse. New Anode Black holes are Plasma Producing Charge Splitters by a Fermion Repelling Horizon. 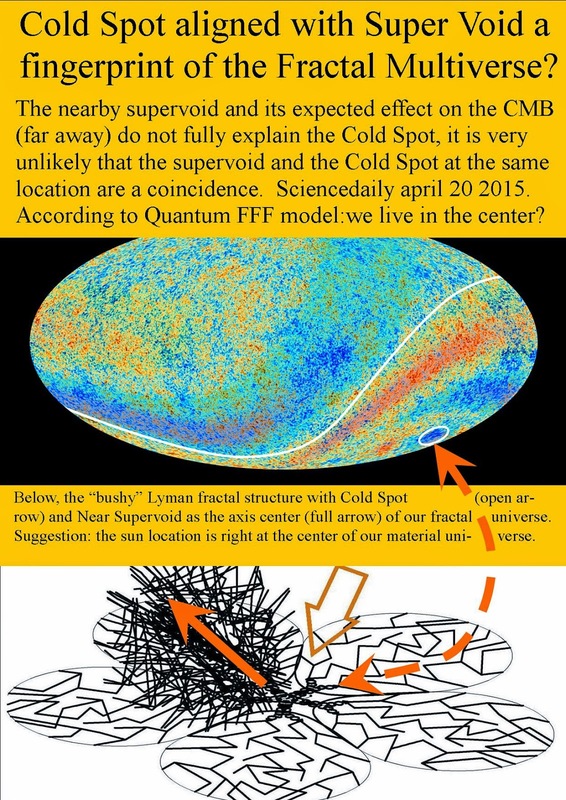 Crisis in Astro-Physics solved by a new Anode Black Hole and Propeller Shaped Fermions? I think that Hawking did not calculate with the possibility that the black hole could be a bit more complex by the repulsion of propeller shaped fermions. My new Quantum FFF model partly described by posters in this book, and (ref 56, 4 and 1) proposes a chiral oscillating Higgs field vacuum lattice combined with propeller shaped Fermions. Electrons and positrons both pushed away from the Black Hole (BH) horizon at different distances, forming two different charged separated spheres, with quark ( plasma) formation in between. Only if the oscillating Higgs vacuum Lattice (tetrahedral shaped) has a preferred chirality. So in our material universe, all the Planck lattices (the edges of the tetrahedrons) form a left handed spiral. As a result all neutrinos are left handed! because the neutrino information travels in the form of an Higgs oscillation along these edges. 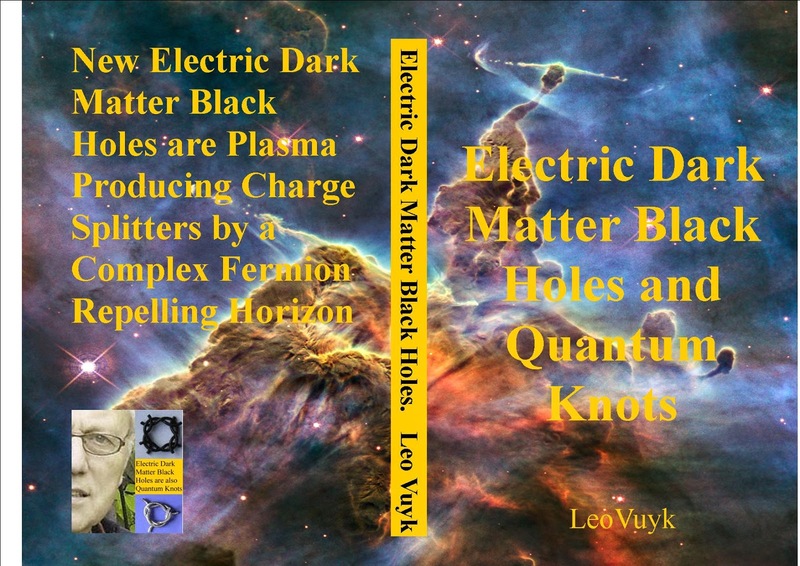 So New Electric Dark Matter Black Holes are assumed to be charge splitters and carry an Anode shell at the outside and a Cathode shell at the inside. They violating the 2e law of thermodynamics, combined with a micro big bang plasma creation process for BHs at every scale!